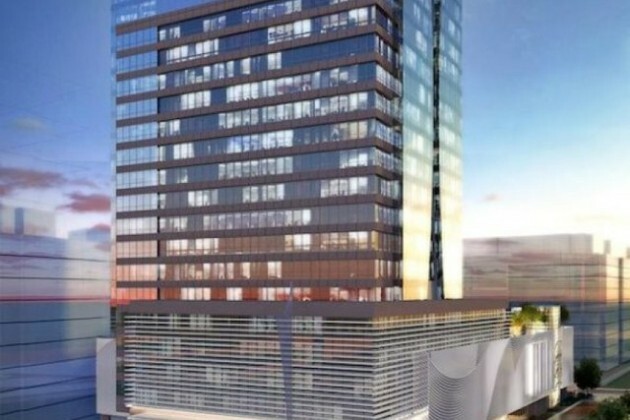 The plans for Reston’s tallest building now include an outdoor rooftop terrace, where visitors and office residents will be able to see (on a clear day) from the Blue Ridge Mountains to the D.C. skyline. Plans also include a seventh-floor outdoor park with a potential bocce court. 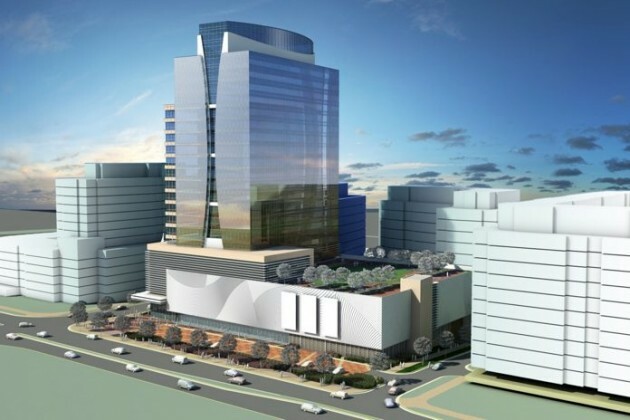 These are some of the changes that RTC Partnership and Akridge are proposing as the plans for 1760 Reston Parkway, a 23-story office building set to be Reston’s tallest structure, head back to the Fairfax County Planning Commission this week. The rooftop terrace is planned as an amenity for tenants of the building. It will be surrounded by a 35-foot tall glass screen wall with an opening on the west side to shield the space from strong winds; it will be constructed of aluminum and steel supports and clear glass. The terrace will include outdoor seating; a trellis structure on the west side of the rooftop to provide shade for outdoor seating; an enclosed event space serviced with restroom and pantry facilities; and a 2,500-square-foot vegetated green roof. 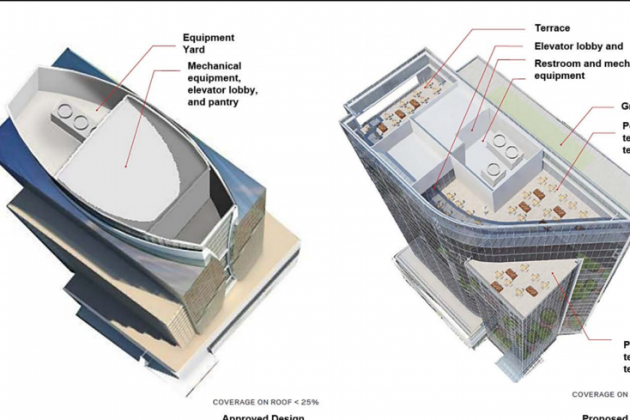 Creating a six-story atrium lobby “intended to serve as a distinct corner landmark feature,” according to the county staff report. 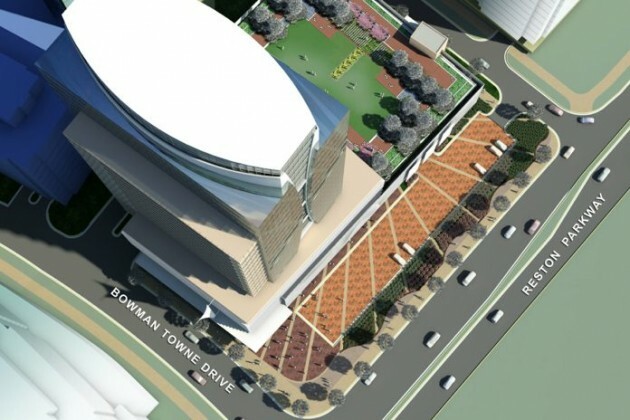 The five-level garage will now be a six-level garage that will hold 1,275 parking spaces. Two private terraces for office tenants directly adjacent to the terrace. The private tenant terraces will be located on the seventh and 22nd floors of the building facing Bowman Towne Drive and Reston Parkway, respectively. The plans for the building were approved by the Fairfax County Board of Supervisors in 2012. There are no plans to begin construction until a major tenant has signed for at least 150,000 or the buildings 420,000 square feet. The $210 million building was controversial when it was approved by the supervisors because of its size, height and distance of nearly a mile from the future Reston Town Center Metro Station, slated to open in 2020. The office tower and ground-floor retail will be about eight-tenths of a mile from the Metro. At 330 feet tall, the new building, with 18 floors of office space, will be more than 100 feet taller than One Freedom Square at Reston Town Center, currently Reston’s tallest. While Hunter Mill Supervisor Cathy Hudgins has called the project an example of world-class design, some of Reston’s citizens have not been as enthusiastic. Critics say the scale of the building and traffic are concerns. 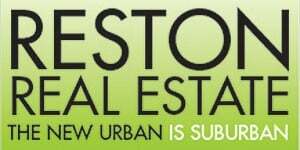 Opponents of the project called it “incompatible with Reston.” Critics of the project included Reston Association and the Fairfax County Planning Commission staff, which said the building was out of scale with its surroundings. The planning commission hearing is Wednesday, May 18.